First impressions are everything, and the exterior of your business stands as your first impression to the world. The outer appearance of your business says a lot about who you are as a company, regardless if you want it to or not. If the exterior masonry work on your building is crumbling, dirty, or otherwise in need of maintenance or repairs, it’s more than just an aesthetics issue. The exterior appearance of your business should be considered a part of your branding, if you want people to know you care about details and aesthetics this is your chance to prove it. 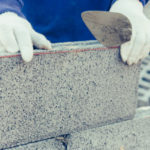 Here are 5 reasons keeping up with masonry restorations will benefit the overall success of your business. People find out about your business by searching online, reading advertisements in the local paper, or through word of mouth. Another way that costumers find out about your business is by simply walking or driving by and seeing your location. If your exterior brick looks like it is falling apart it will make your business immediately seem less reliable, as well as less profitable. 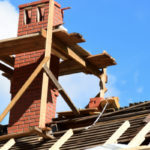 If your business exterior is falling apart, potential customers that pass by will be less inclined to trust your business and use your services. On the contrary, if your building exterior and landscaping is in tip-top shape you will draw attention to your business in a good way. The environment that your employees are expected to work in can largely influence how they feel about their job, thus affecting overall performance. It’s not just a comfy chair and a nice desk your employees crave, according to a number of research studies they also care about the outward appearance of their workplace. Think of it like this, everyday when your employees come to work they are greeted by the outward appearance of your business. What greets your team every day? Is it an old, falling apart building, or a well maintained polished building? You can increase the pride your team feels towards their workplace by keeping the exterior and interior maintained 365-days of the year. Masonry work is meant to last a long time, but eventually it requires cleaning and repair work or else it starts to look worn down. The broken windows theory states that if a building looks old and rundown people are more likely to cause damage to it or steal from it. On the other hand, a building that appears maintained, clean and up to date actually deters thieves and vandals from destructing the property. By simply keeping an orderly appearance you promote a feeling of lawfulness, which ultimately makes a difference in rates of both small and large crimes. When customers visit your business do they feel safe and secure? People naturally feel safer in clean, well-maintained environments. This feeling of safety is huge, and will influence if customers trust you and your product, as well as if they decide to come back. Customer experience is everything when it comes to promoting the longevity of your business, by keeping your building aesthetics looking good you can promote a feeling of safety and security for all. If you largely ignore masonry work little aesthetic issues will build up until you have a larger problem on your hand. As issues enlarge aesthetics will suffer, turning into one big eyesore. Perhaps even worse, these larger issues are going to be more expensive to fix. 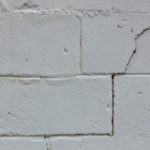 For instance, if you notice cracking or crumbling in the mortar joints of your masonry work there is a simple solution that can restore the problem both in appearances and functionality. 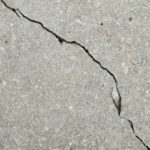 Yet, if cracks are not taken care of when they are minor, water, bugs, weeds, and other elements have plenty of time to get inside and ultimately wreck havoc on the entire structure. A complete rebuild isn’t going to be good for your business budget; it’s far cheaper to take care of issues when they are still small. Have your building regularly inspected for signs of damage so that you can catch problems before they have a chance to build up and become expensive eyesores. Add masonry details to create eye-catching elements to your business exterior, such as adding brick walkways, steps, gates, a sign, or anything else your imagination can think up. Have your masonry work cleaned and sealed as needed. For all of your corporate and residential masonry restorations, rebuilds, and repairs contact Turnbull Masonry today!